WHAT MAKES YOUR SOCIAL ENTERPRISE VALUABLE? If you think about it, social enterprises are all about delivering value to a wide range of stakeholders and to society. To be successful, a social enterprise must be clear on the value they bring to others. In other words, our ‘value proposition’. Think of it as coming up with the DNA or unique recipe that makes your organization distinctive, successful and uniquely valuable to others. Concepts like ‘value’ and ‘worth’ are really hard to define and communicate. But they are also really important for us to get our head around if we want to mobilize a tribe of advocates, supporters and backers for our good work. Traditional companies have it easy. They create something that’s of value to customers, who in return make a payment that reflects the perceived value to them. Most companies therefore tend to focus intently on price, as that’s much easier to understand and manage than value. But all great companies focus on value. The value they deliver by meeting customers’ functional needs, connecting with them on an emotional level, and even giving them life changing experiences. Bain and Company has created a pretty effective way of understanding the 30 universal elements of value that all enterprises should consider. Social enterprises are complicated creatures though. They are accountable to and deliver value to many different stakeholders. Often our customers are different from the people that consume our products or benefit from our services. This makes things a little more complicated. Like any company, to be successful, a social enterprise must be clear on the value they bring to others. In other words, our ‘Value Proposition’. The value proposition of social enterprises centres on a set of messages around how we do business more responsibly than your competitors, why we are the best choice for our customers, how our work solves social problems, and how we do so in a financially sustainable way (that is, without running out of money or relying heavily on grant funding). YOUR VALUE PROPOSITION EXPLAINS HOW YOU DO BUSINESS MORE RESPONSIBLY THAN YOUR COMPETITORS, WHY YOU ARE THE BEST CHOICE FOR YOUR CUSTOMERS, HOW YOUR WORK SOLVES SOCIAL PROBLEMS, AND HOW YOU DO SO IN A FINANCIALLY SUSTAINABLE WAY. Think of it as coming up with the DNA or unique recipe that makes your organization distinctive, successful and uniquely valuable to others. If you think about it, social enterprises are all about delivering value to a wide range of stakeholders and to society. 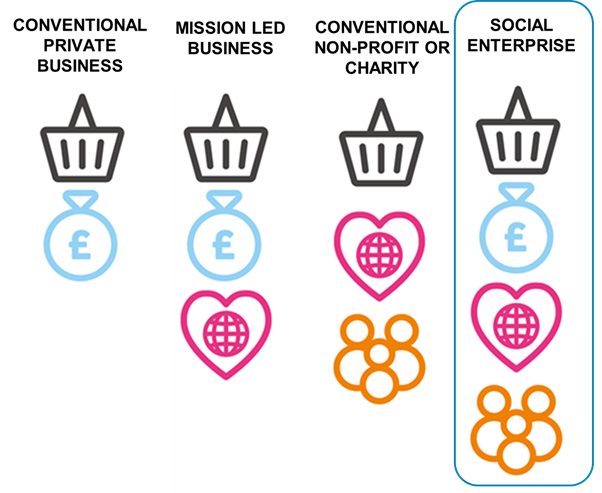 I’ve found that the Value Proposition of social enterprises is invariably made up of four main building blocks of value. These are the prerequisites of any high performing and impactful social enterprise. Customer value is the essence of what makes us better than your competitors at reaching customers, solving their problems, meeting their needs and wants, and ensuring that they come back. Remember, ‘customers’ are the people or organisations that pay for your goods and services, not necessarily the same as our beneficiaries. Financial Value goes to the heart of how we are achieving our mission in a financially sound, sustainable, and largely self-sufficient way. It explains how we use funding from others effectively, and in ways that encourage self-reliance and not dependence. Operational value comes from the ethical stance that our organization takes and the ways that it behaves responsibly. We can demonstrate this in the way that we are governed, how we support our employees, how we source supplies, how we treat the environment, and the ways we work with communities and reinvest our profits for the common good. This is what big businesses often call Corporate Social Responsibility. Social value is about the ways that our work solves pressing social or environmental problems and brings positive change to the people, families and communities we are in service to. It describes the value of the social outcomes and social impact that we create through our enterprise activities. 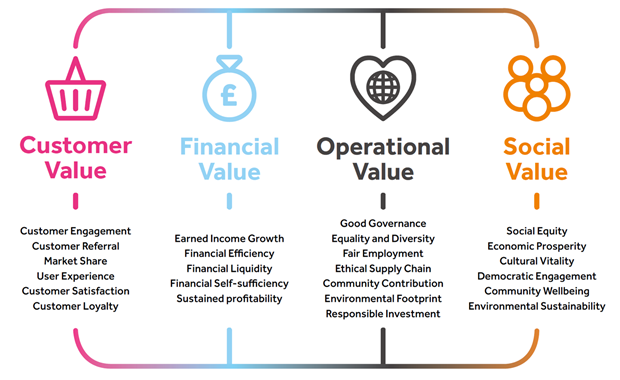 By delivering on these four aspects of value, social enterprise is therefore emerging as an increasingly attractive way of doing business. By following this train of thought, we can begin to describe why our social enterprise delivers more value than alternative ways of doing business and improving society. Most conventional businesses focus on creating (and measuring) Financial Value and Customer Value – the basic commercial value proposition. In addition, purpose-led or mission-driven enterprises seek to deliver (and measure) the value they create by putting social responsibility at the heart of what they do (Operational Value). Although successful non-profits and charities work to change the world and deliver value in many of the same ways as social enterprises, they rarely do so with an ongoing reliance on grant subsidy (not the same compelling Financial Value as social enterprises). Social enterprise then knocks the ball out of the park … delivering value in multiple and complementary ways. It is the combination of these elements, in various quantities and proportions that describe the value of any social enterprise. The building blocks described will enable you to map out and describe the full story of the value created by your organization, and to drill down to show a balanced picture of results. While this creates a great jumping off point, it’s only the start. You can take things to the next level by building consensus on the things that really matter to your stakeholders (the value they expect in return for their support), by building a simple results framework, and by using performance measures that get to the heart of the value you plan to deliver. 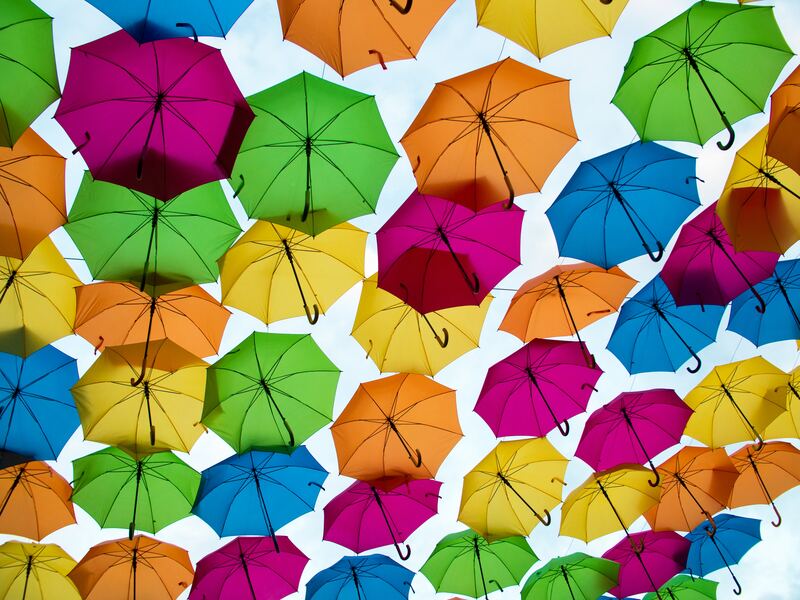 To find out more about actionable tools and tips to identify your Value Proposition and support Social Impact Measurement, check out the Impact Practice Series at the Social Enterprise Institute.